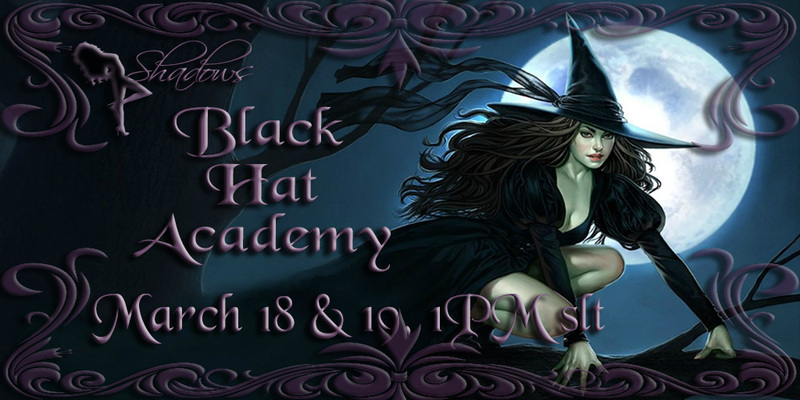 »Browse by Category»SHADOWS BLACK HAT ACADEMY MARCH 18TH & 19TH AT 1PM SLT!!!! Shadows Black Hat Academy is the Silhouettes little homage to American Horror Story: Coven. As such, we’ll be featuring music by Stevie Nicks & Fleetwood Mac. The Black Hat Academy is set in New Orleans, just as in the TV show, housed in an old Greco-Roman revival antebellum mansion. These exceptional young ladies are schooled in the various talents of witchcraft…Potions, Pyrokenisis, Levitation…but as with any school, there are little foibles along the way. Come see these young witches through their training up to their graduation! ← 3RD ANNUAL SHADOWS SILHOUETTE DANCERS MARDI GRAS PARADE AND PARTY!! !